Starting life as small, dark, freshwater fingerlings, sockeye salmon become silvery, ten-pound ocean swimmers three months later and return home seven years later with humpbacks, hooked noses and blazing red torsos. This ability for salmon to morph so extensively in size, color and habits within their single life spans confounded 19th century ichthyologists to the point that they assumed fifty one regional species instead of the five species accepted today. Other than confounding ichthyologists, the salmon's kaleidoscope of physical form serves an evolutionary function. Morphing allows individual fish to blend in with their surroundings and travel through a variety of habitats within a single lifetime. As a set of species, the variety of forms adopted has allowed salmon to colonize all the waterways of the Pacific Northwest over the course of two million years. Historically, salmon were found from coastal streams to the headwaters of the Snake River in Idaho and from Alaska south to San Francisco Bay. A hundred and fifty years ago, when white settlers arrived, the diversity of this fish’s life history and distribution reflected the diversity of regional geomorphology but human settlement in the Pacific Northwest from the 19th century on has sped up the tempo of environmental change faster than salmon can genetically adapt. On the wall of his Seattle Office, Robin Waples, a population geneticist with the National Oceanographic and Atmospheric Agency (NOAA), has made a map of this fragmentation. Passing his finger over it, he explains the superimposed web of red and black pixels over California, Oregon and Idaho and the scrim of yellow hugging the coast of Washington and British Columbia. 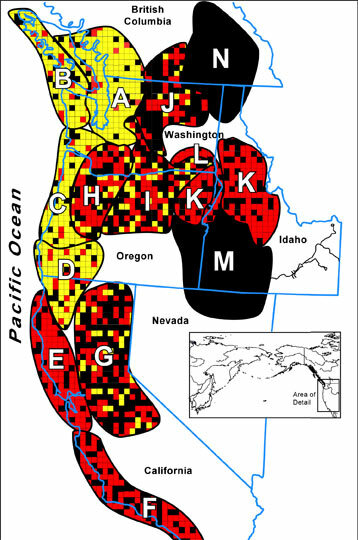 The map depicts current distribution of salmon populations. Black indicates extinction, red endangered stocks and yellow healthy stocks. Each pixel is an Evolutionarily Significant Unit (ESU)—a population of fish of a particular species that returns to a particular stream or river or that is temporally or spatially distinct from other populations. 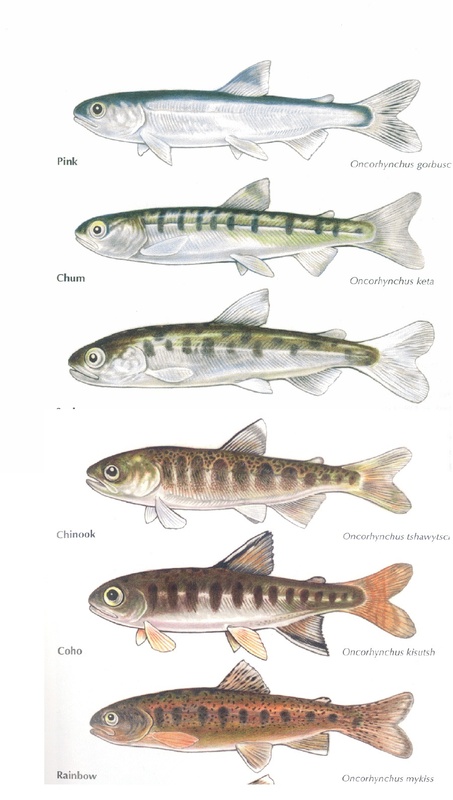 For example, there are four ESUs of Chinook salmon on the Columbia River because each population returns to the river at a different time of year—in the fall, winter, spring and early summer. As a general rule, Waples says, “ the regional map of a salmon species' ancestral habitat distribution roughly corresponds to its specie-specific phylogeny." In other words, the genetic distance between two populations, or ESUs, of Chinook is roughly the physical distance between the two rivers where they are found. The more ESUs you have then, the greater the diversity of a species and therefore the greater chance of survival. With this new information, the heavily red and black pixilated map seems more ominous. The report released by the Pacific Marine Fisheries Commission this year called for a ban on marine salmon fishing along the Oregon coast from Canon Beach south. The commission posited 47 possible reasons for the unprecedented drop in salmon fishery numbers. Some factors stand out: the restructuring of inland watersheds by dams; agricultural water diversions and logging; overfishing and increased competition from invasive species; the failure of deep ocean currents and regional wind patterns to induce algal blooms at a crucial phase of salmon development. Each of these factors has been studied before, but their convergence in 2007 into a “perfect storm” is something new. Is this year’s fishery failure simply a dot on the squiggly graph of regional salmon population decline? Or is this year’s year-round fishing ban a tipping point? Throughout this region salmon are hailed as the totem species of the Pacific Northwest. Their very existence affirms that the regional environment is diverse, wild and pristine. Salmon draw from and give back to the environment. Ecologically, their return to natal rivers to spawn introduces nutrients to an otherwise sterile system. Regional fishermen depend on the fish as a source of livelihood. The resilience and tragedy of their lifecycle, the aesthetic beauty of their form remain points of identification. Totems come and go, though. Already, there are creatures ready to usurp the salmon’s niche, both ecologically and iconically. To address the questions raised, I traveled from British Columbia to San Francisco this summer, visited with scores of scientists, fishermen, Native Americans and restoration managers. I spent nights on offshore research vessels, dissected spawning salmon in the shadows of dams and talked to Yurok tribal elders about net designs passed down through the generations. 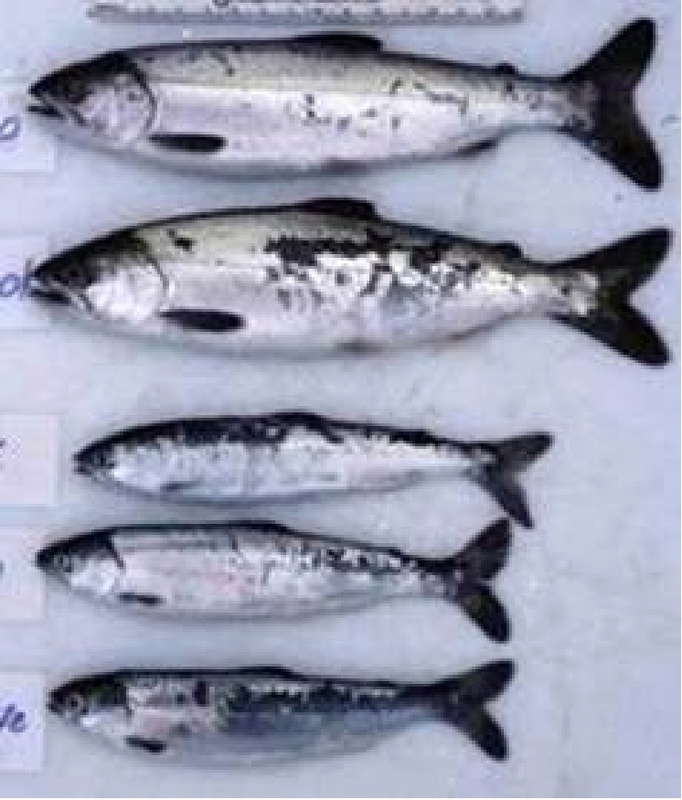 (1) How salmon life cycles evolved to take advantage of environmental windfalls, such as the annual oceanic upwelling off the Oregon Coast and how this dependency leaves salmon more vulnerable to temporal and spatial shifts in marine ecosystems and seemingly remote causes like climate change and El Ninos. (2) How cutting edge scientists and ancient Native American lore both recognize a co-dependency of the fish and their natal inland watersheds. As the fish return to spawn, they replenish otherwise sterile ecosystem with vital nutrients. (3) How dams and hatcheries can thwart salmon evolution by rupturing this vital feedback loop. (4) How influential scientists are setting forth various blueprints to ensure the survival of at least parts of the Pacific Northwest as the land of salmon and at what cost their plans would be actionable. 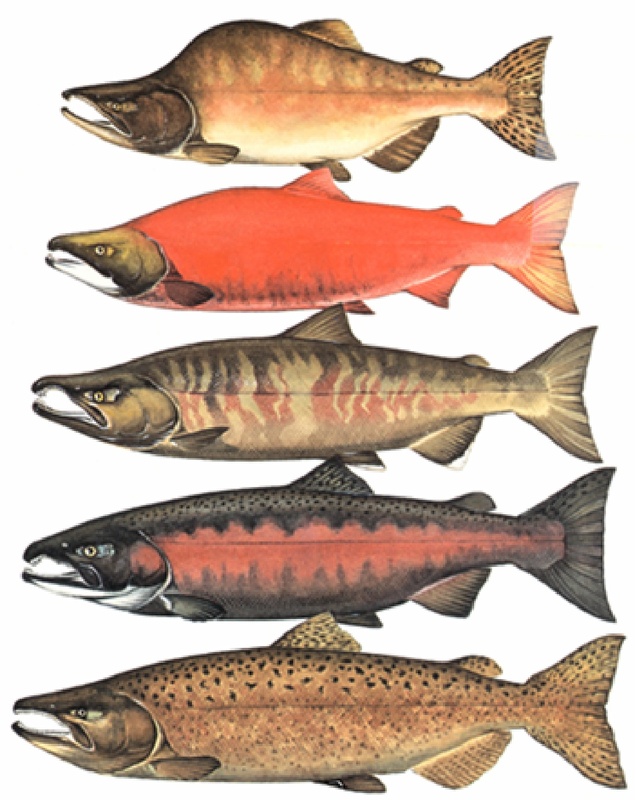 (5) Lastly, I talk about how salmon could be supplanted and what this usurping might mean to regional stakeholders.